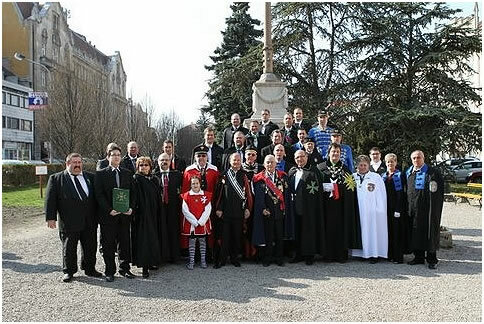 In spring-like weather the joint investiture of the Hospitaller Order of Saint Lazarus of Jerusalem and the Knighthood of Honour of the Union Corps Saint Lazarus International – Lazarus Union – CSLI was held on 24. 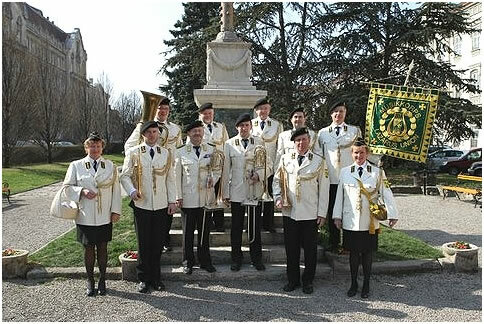 March in Sopron. 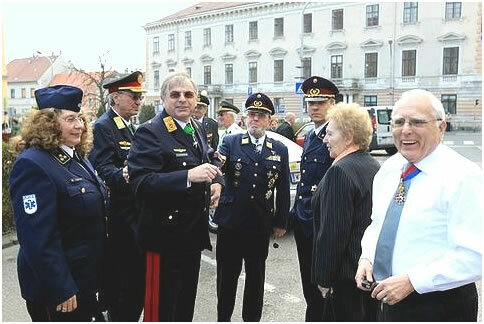 The idea for a joint ceremony was born during one of the many events last year where both organisations had joined forces. 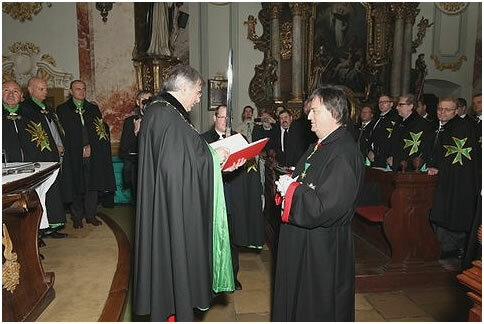 Confrere Otto Janos Hoffmann, being an active member of both the Grand Priory of Hungary and the Union CSLI suggested Sopron as an ideal location for the ceremony. 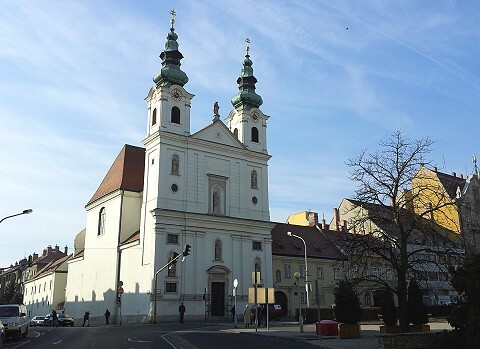 Sopron (with its German name being “Ödenburg“) proved to be the ideal place for such an event. 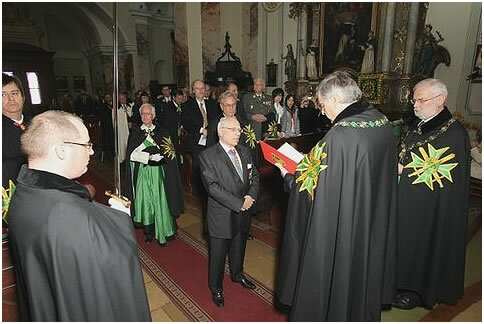 The ceremony was prepared with a number of meetings and rehearsals. 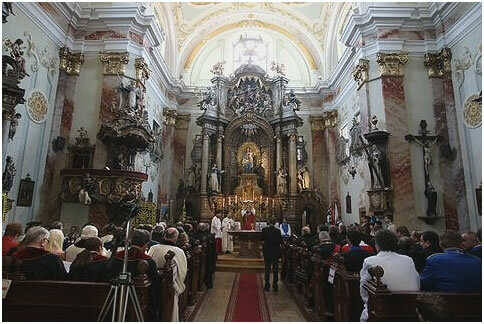 Before the Holy Service in the beautiful baroque church of the Dominicans commenced there was enough time to welcome all the worthy delegations from the various visiting orders, Austria Humanitas Corps, Brotherhood of the Holy Archangel Michael, the Radetzky Order, the St. Michael Order, the Order of the Wine Knights, the Order Hungariae, and the Sovereign Order of Saint John of Jerusalem, Knights of Malta. (in alphabetical order). 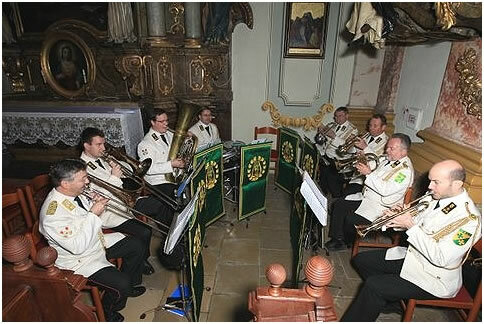 Our new music corps gave a little open-air concert and later contributed significantly to the harmonic success of the ceremony in the church. 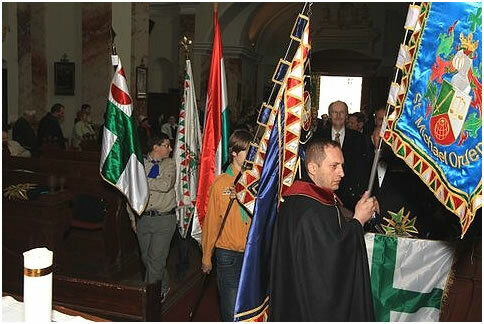 Thank you very much, we are looking forward with pleasure to the next musical delights! 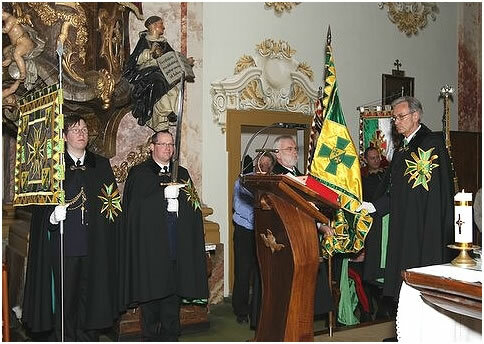 Our thanks must also be addressed to the clergy, to the soloists, the choir and the orchestra of the church of the Dominicans for conducting Franz Schubert‘s wonderful mass in G major. 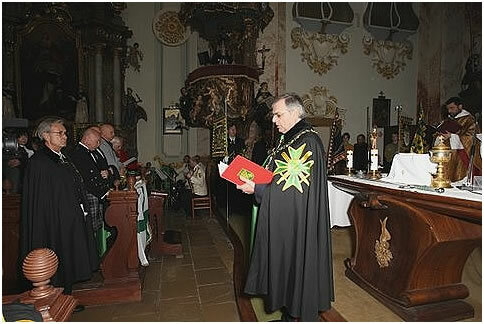 Our Magistra Luisine Poppel gave a perfect demonstration of her proficiency, her little daughter and the whole audience were delighted by her performance. We welcomed postulants not only from Hungary and Austria but also brothers and sisters from Denmark, Scotland, and even from places as far away as Canada. 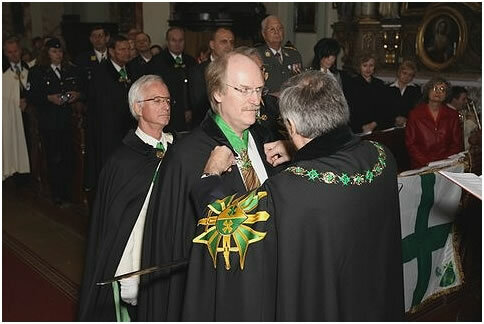 This is wonderful proof of the international commitment of our organisation. 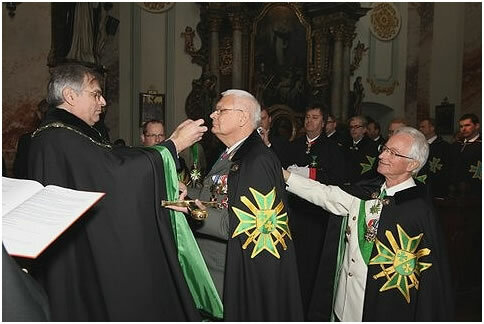 The Grand Chancellor of the Supreme Grand Priory of the Hospitaller Order of Saint Lazarus of Jerusalem, Chevallier Massimo J Ellul GCLJ GCMLJ, led the various deputations from the United Grand Priories and was the Grand Investing Officer for the various investitures of the Order’s Grand Prioires. 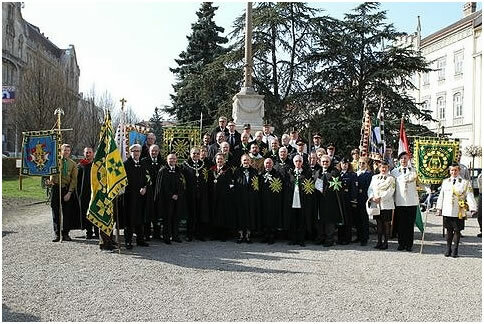 Traditionally the solemn ceremony and incorporation into the Knighthood of Honour of the Union Corps Saint Lazarus International commenced with the renewal of the officer‘s pledge, recited by CSLA president Wolfgang Leithner. 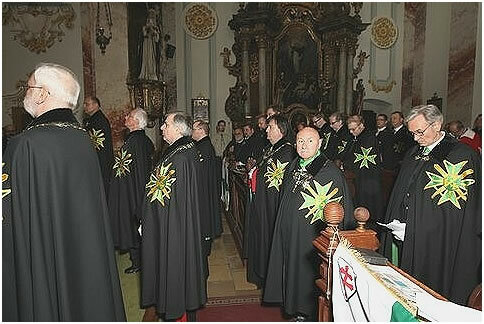 Posing for the inevitable group pictures finally closed the official part of the joint investiture of the Hospitaller Order of Saint Lazarus of Jerusalem and the Knighthood of Honour of the Lazarus Union. A final dinner provided ample room for bilateral talks between the numerous and various Lazarite delegations and their guests. 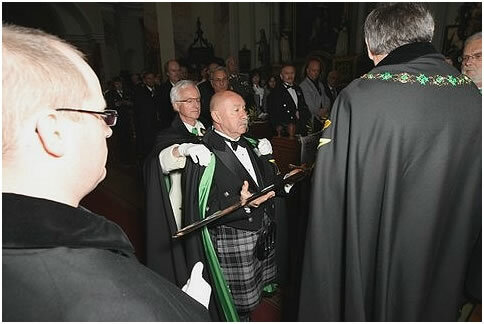 The specialist behind his camera was as always our press photographer Hannes Hochmuth who took more than 1000 pictures! 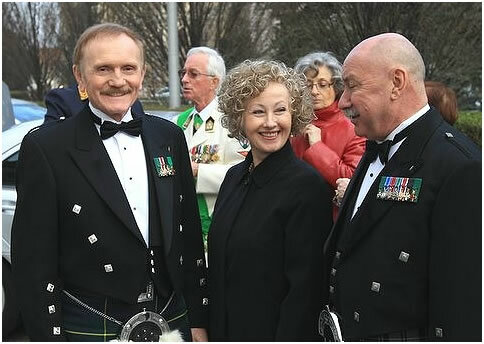 Some of them already accompany this report, more can be seen on the Union CSLI website. Also a video is currently in the making by Hannes Bartosch, who already provided the video documentation of our air days.